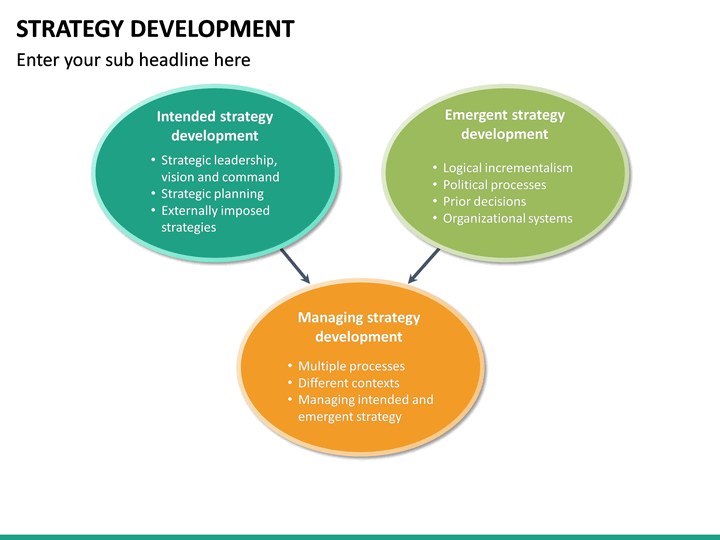 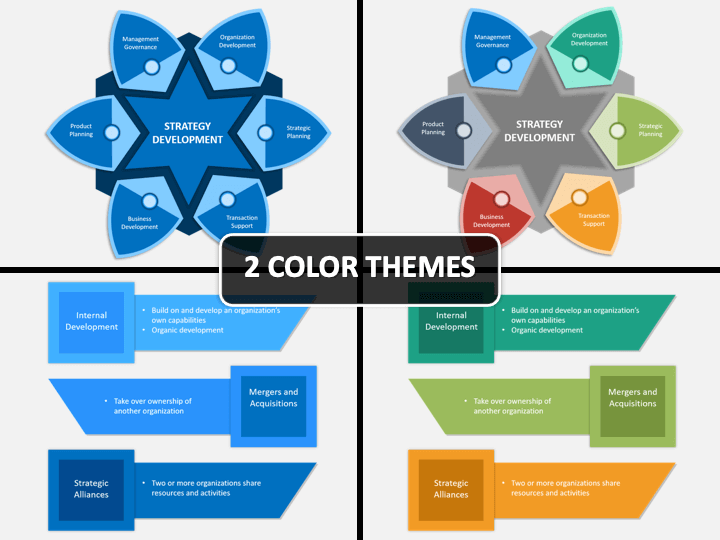 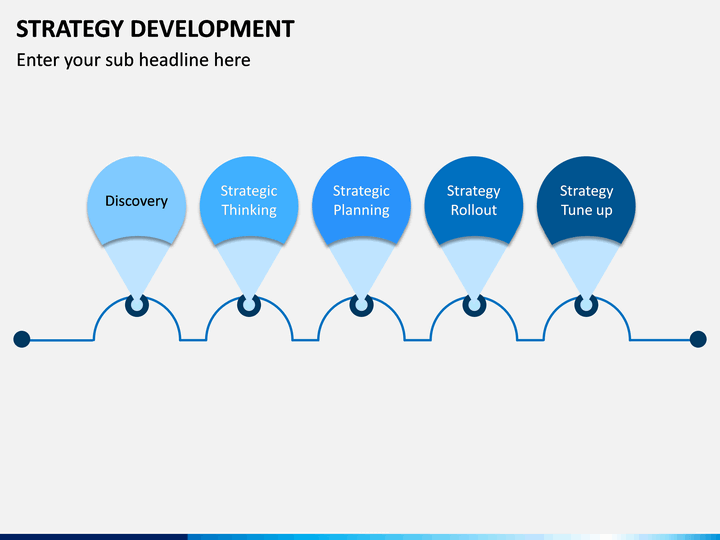 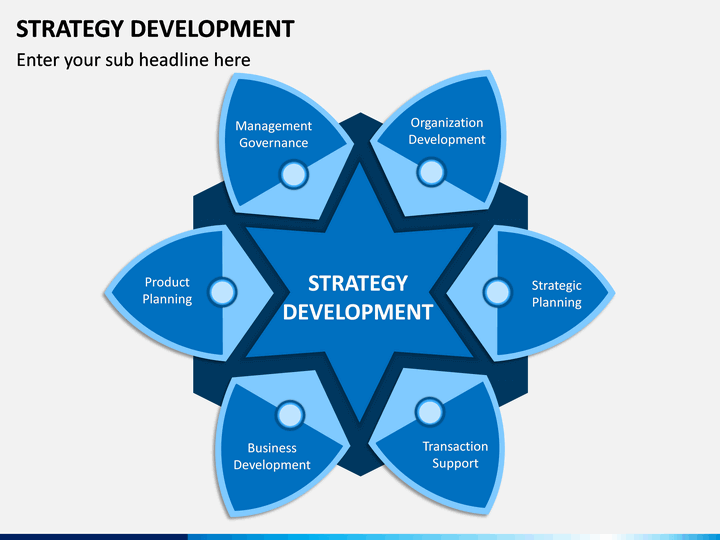 Ready-to-download impressively designed Strategy Development PowerPoint template comes in 2 different color themes. 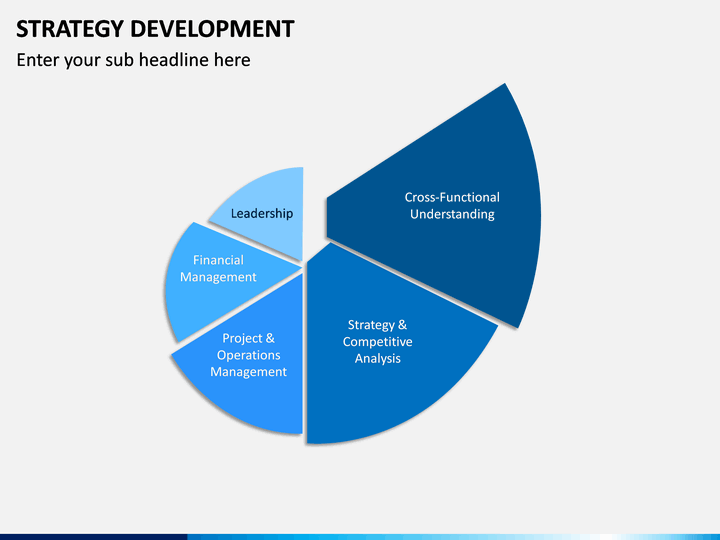 Each slide has vector-based high-quality graphics that are ready to customize for a professional presentation. No thanks continue to checkout Strategy Development Template . 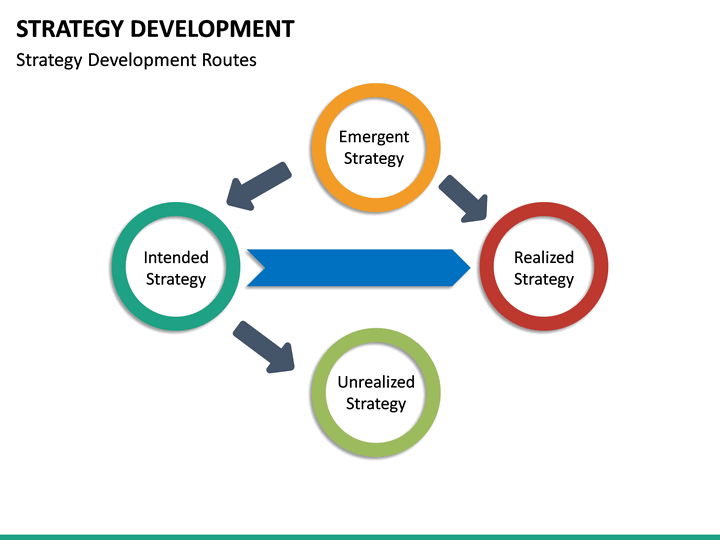 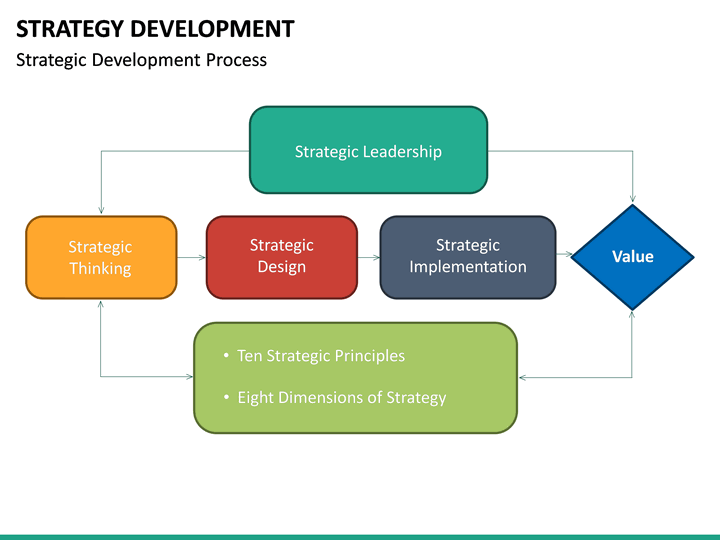 Strategy development is important for any business or organization as it outlines measurable goals and provides a sense of direction. 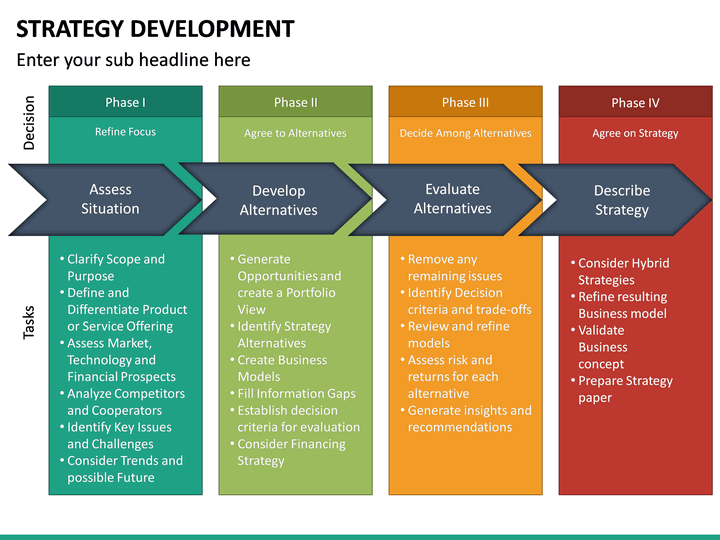 It is a tool that helps guides in day-to-day decisions and allows entrepreneurs to evaluate progress and growth when moving forward. 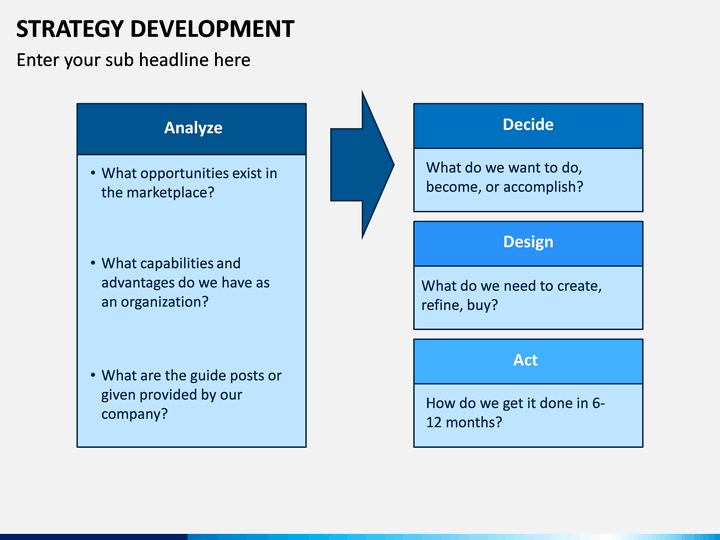 Where do you visualize your company in five years? Your objectives may range from profit targets to growth plans to human resource plans. 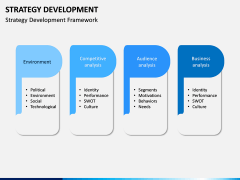 However, to achieve your goals, it is important to share them with your employees so that they understand your vision and work together to the same planned path to success. This is where our template set comes in handy. 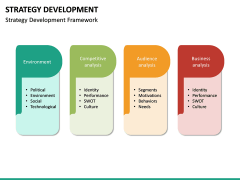 It allows business owners to show their employees, stakeholders, and management team what they are striving for. 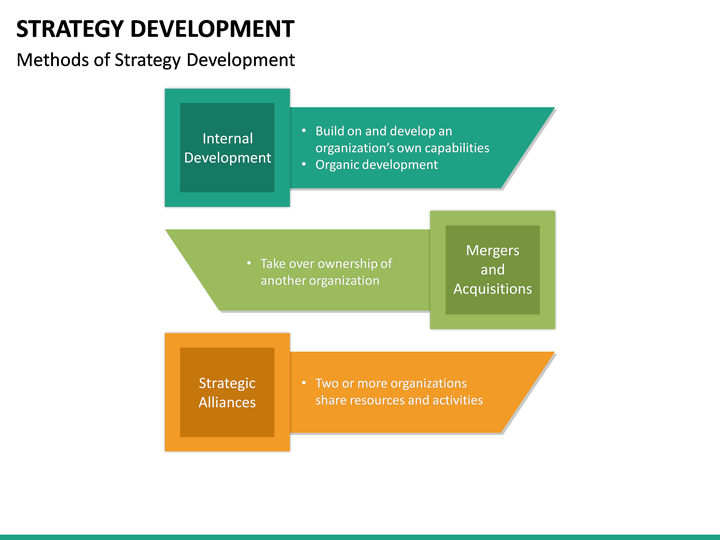 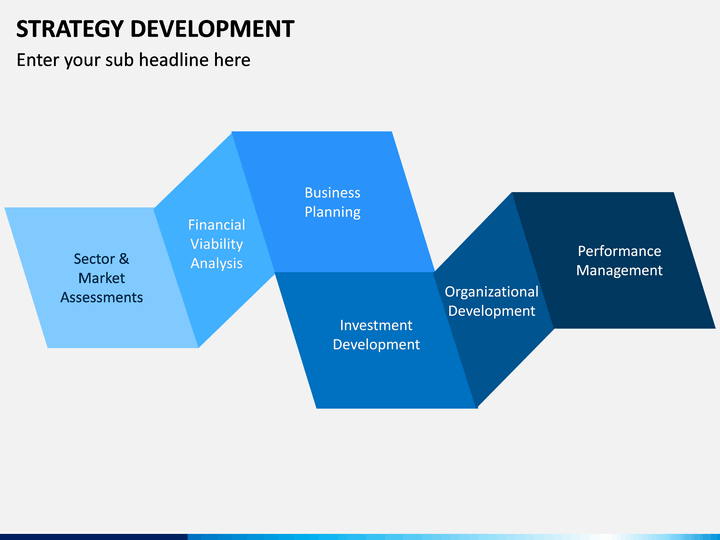 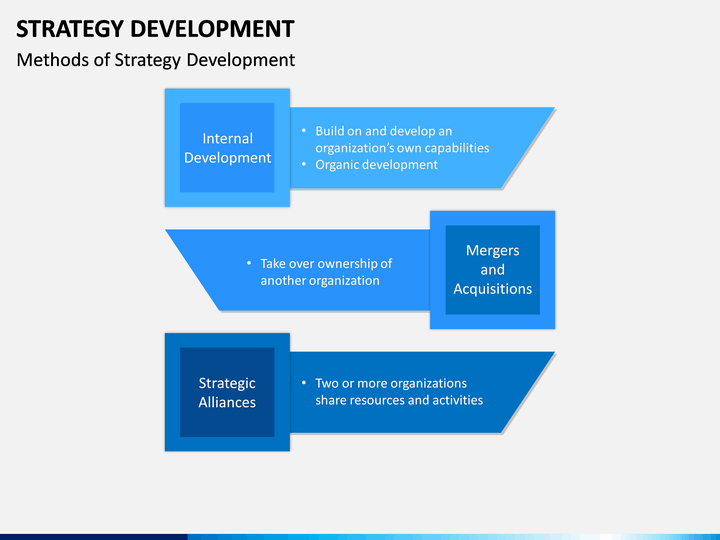 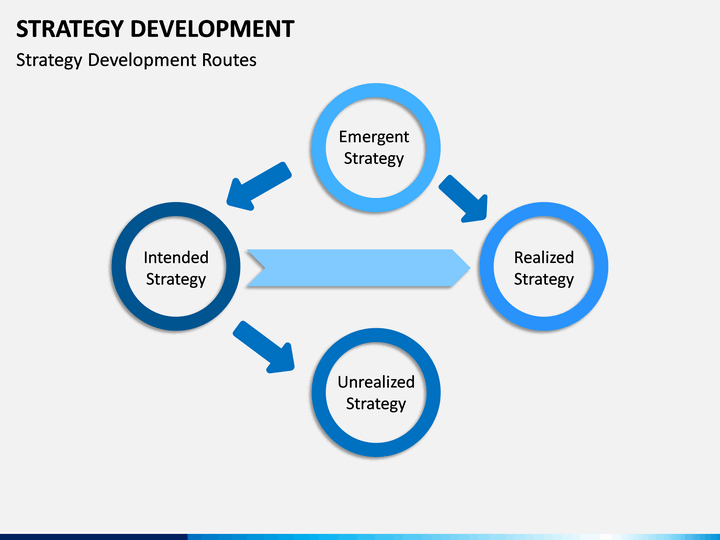 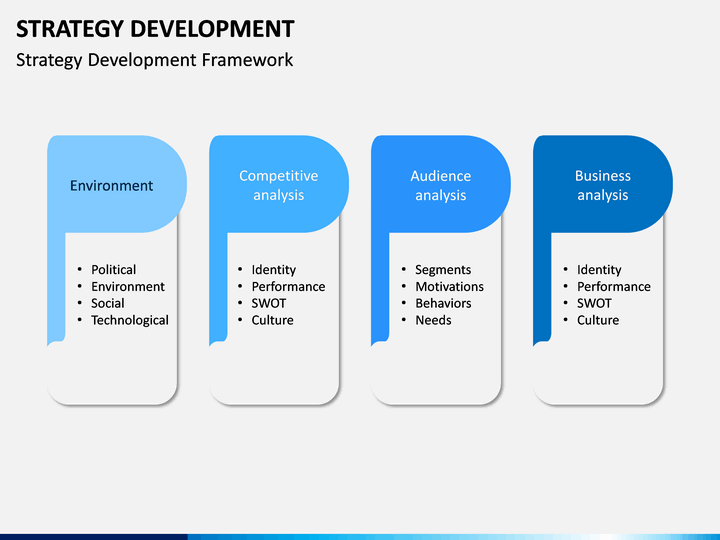 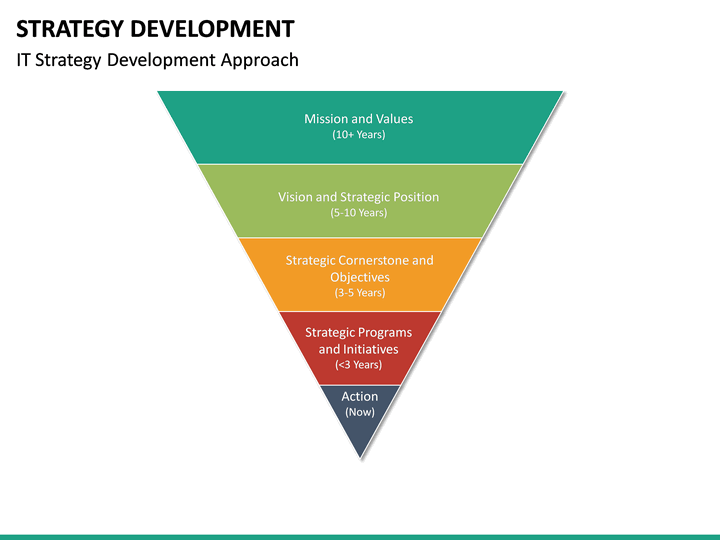 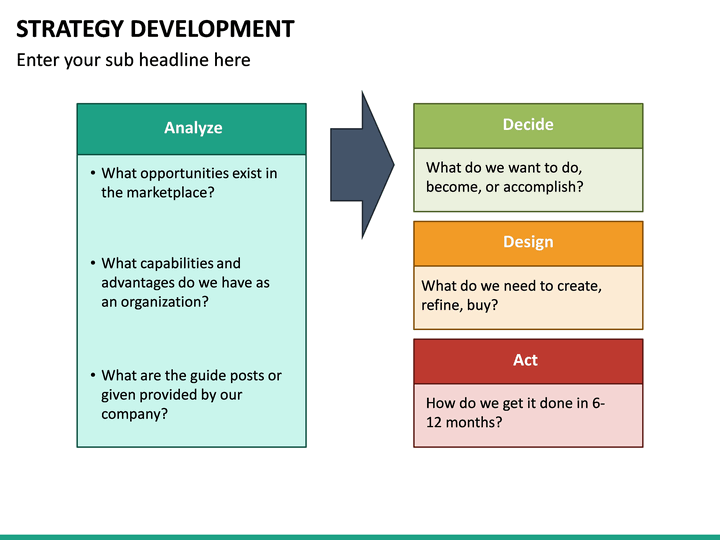 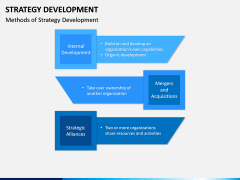 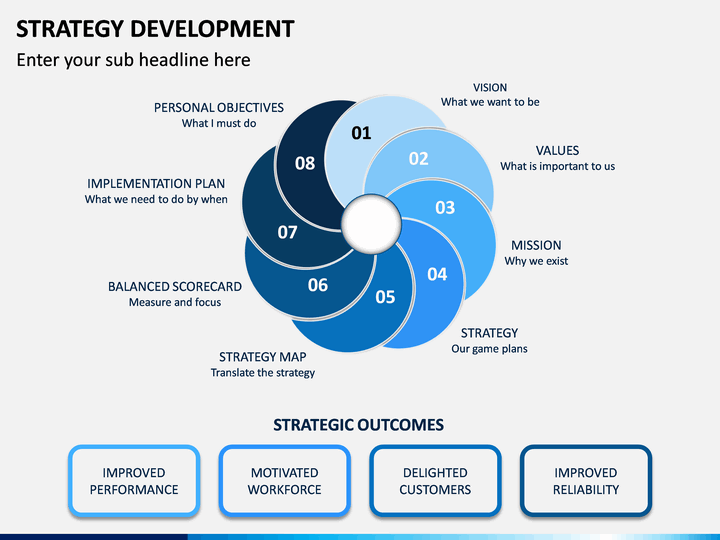 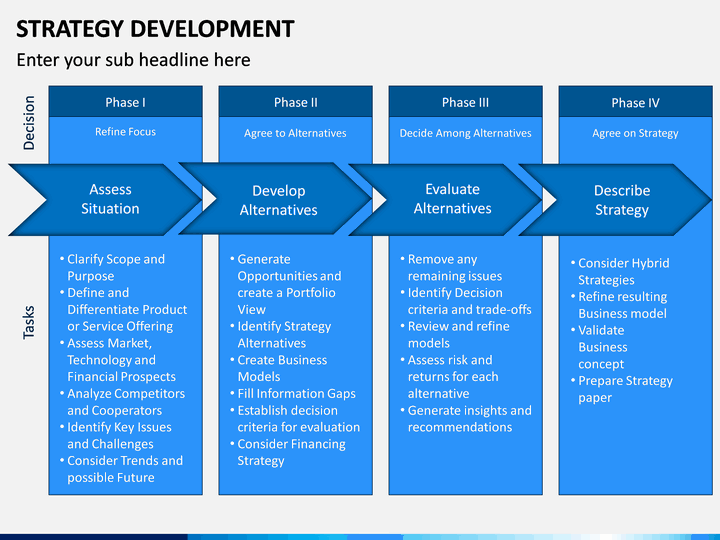 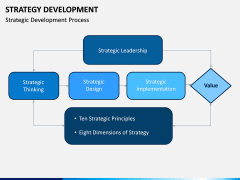 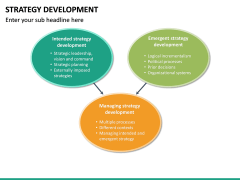 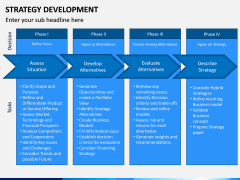 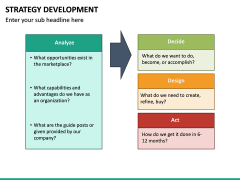 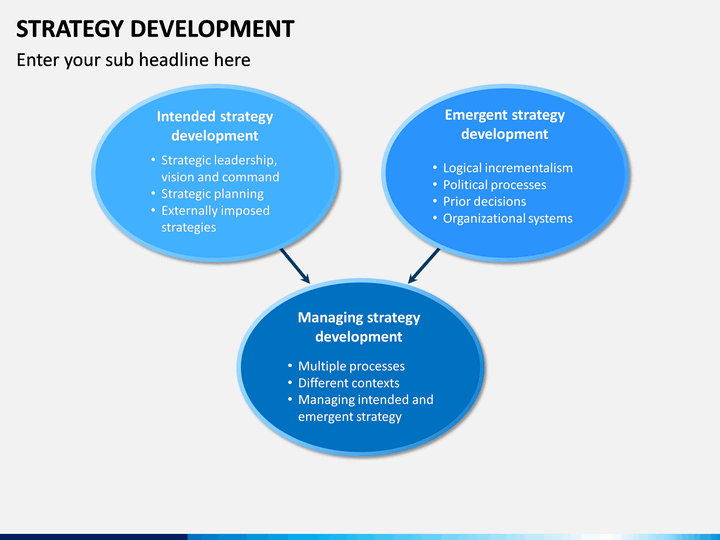 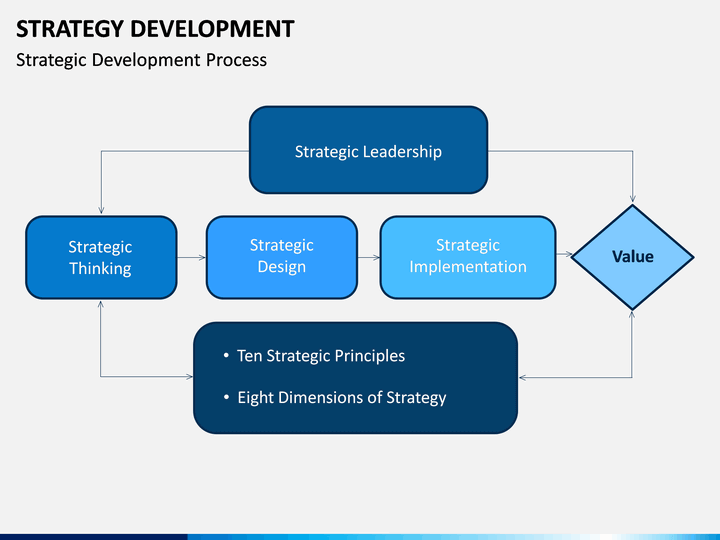 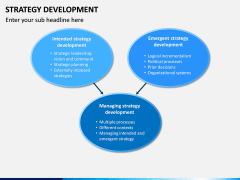 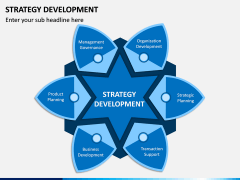 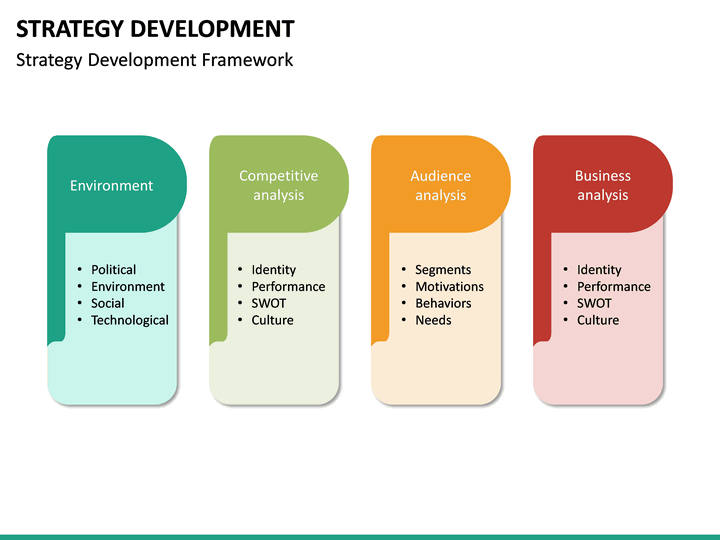 Our strategy development PowerPoint template makes sure that everyone is on the same page and each individual is aware of his role that he is supposed to play on the path to success. 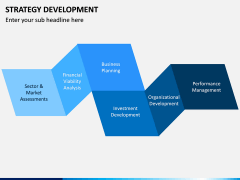 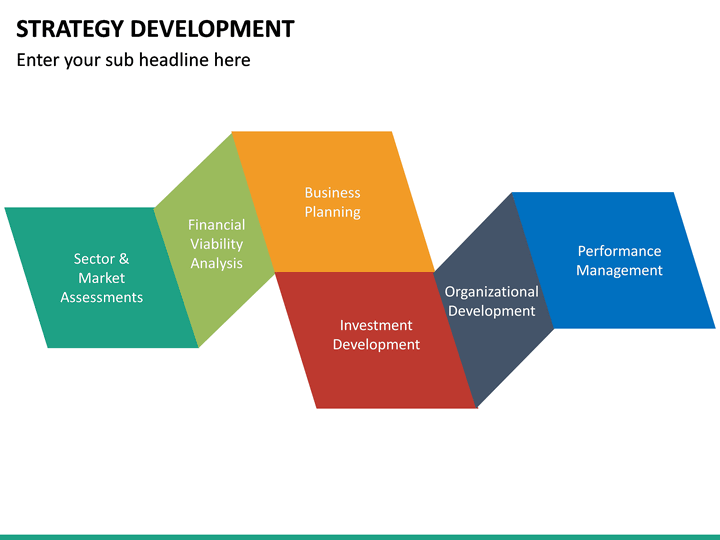 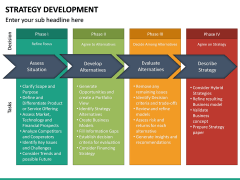 Markets are constantly evolving, constantly changing and to keep abreast with all the latest developments, it is important for businesses to review their strategic development program at least once a year if not after six months. 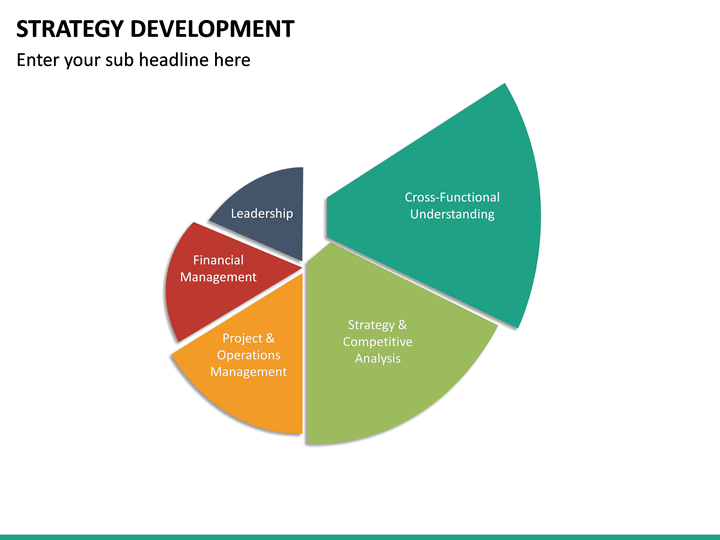 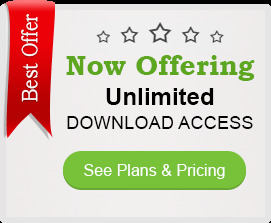 Our template makes this easier for you as it is completely editable and can be customized to fit all business ventures. 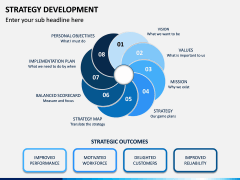 Now you can easily update your game plan as the need arises with the help of our template. 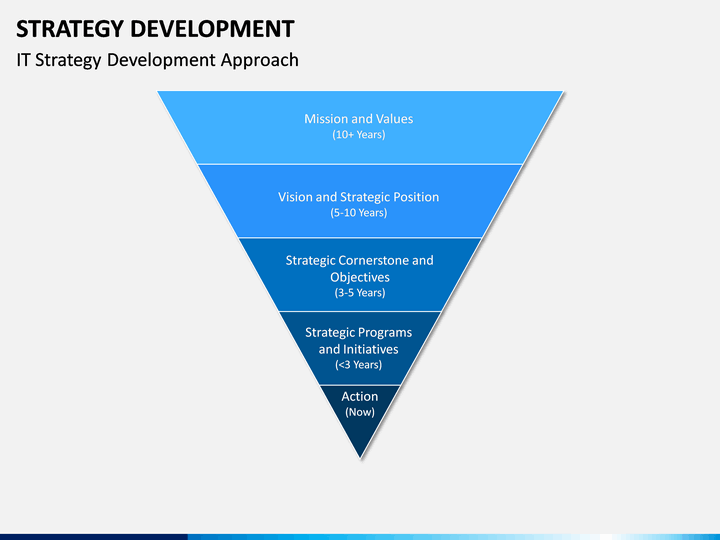 Business goals or sports club aspirations? 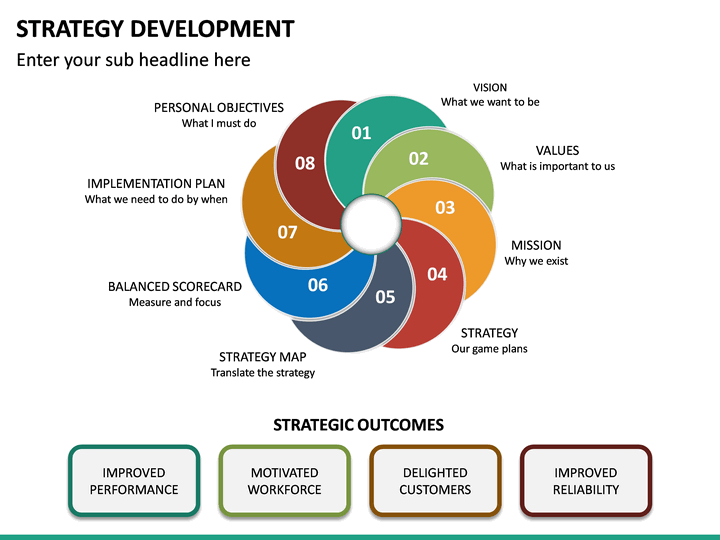 Our slides can be used in any organization; be it a profit-oriented organization or a sports club. 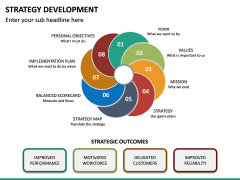 It outlines your goals in a way that is broad enough to guide the employees and narrow enough to keep their energies focused. Moreover, it is available in two color themes thus allowing you to choose the color theme that suits your overall proposal. 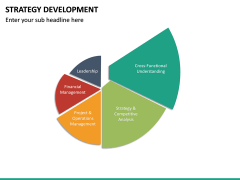 Our vector-based template can be used easily by anyone – be it a highly trained professional or someone who does not have much experience creating important presentations. 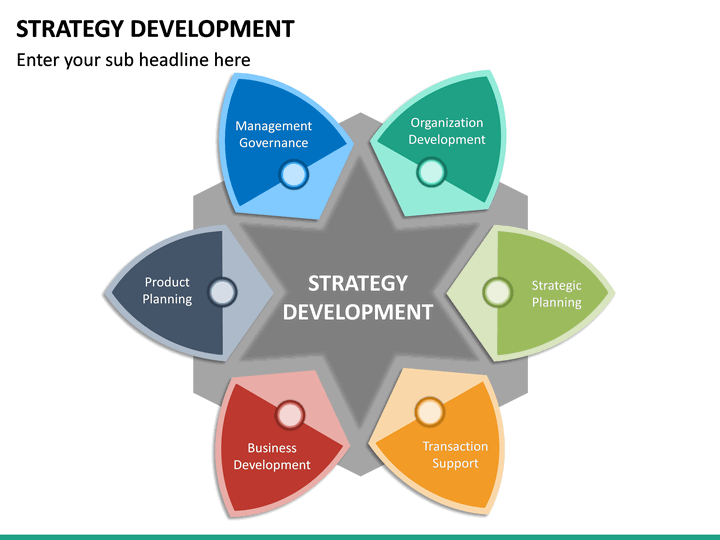 Another great thing about our strategy development template is that it is available not only for Microsoft PowerPoint but also Google Slides and Apple Keynote as well.